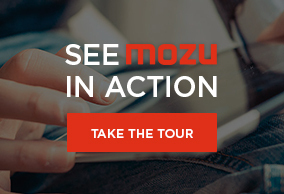 With Mozu, the modern cloud commerce platform, retailers are maximizing their ROI by driving top line revenue through engaging customer experiences and optimizing the bottom line by increasing marketing agility. The platform's best-in-breed technology focuses on flexibility and innovation, keeping our clients on top of technology trends with effortless platform updates. You may have first heard about Bluefly on the cable mega-hit “Project Runway,” where competing fashion designers used the enticing Bluefly accessory wall to complete their models’ runway looks. Or, maybe a friend got you hooked on the designer clothing giant’s daily email sales alerts. (Just try not to click them.) However you got there, chances are you’ve heard of Bluefly. If you're late to the party, prepare to see the Bluefly brand everywhere. The Goulet Pens origin story begins with one man’s longtime woodworking passion, and its rapid transformation from pastime to a leading, nationally recognized brand. From his home workshop, founder Brian Goulet began pursuing the art of pen turning (AKA "pen spinning," handcrafting pens from raw materials). Goulet’s friends and family were immediately impressed by his results. After only a few weeks he filled his first corporate order, and Goulet Pens was born. The rapid evolution of eCommerce retail technology is responsible for more than just unprecedented online sales. Every time a convenient new feature is deployed, a special promo code is applied, or a personalized digital experience connects a shopper with precisely what she needs...those moments reverberate throughout society and improve lives. 21st century commerce requires 21st century solutions.